Mr. Farag Moussa, president of International Federation of Inventors' Association (IFIA) speaks to "SIFF 2004" participants. 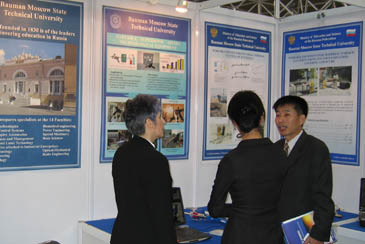 The SIIF 2004 (Seoul International Invention Fair 2004), Asia's largest international invention exhibition, which opened Dec. 10, 2004, was successfully closed Dec. 14, 2004. During five days about 300 single inventions and innovations from 20 countries have been presented to a knowledgeable international audience. 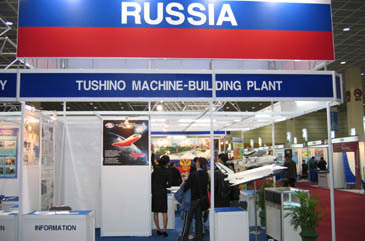 It makes the SIIF the important invention trade fair worldwide and the most numerous exhibition in Asia. During the first exhibition (SIIF 2002) about 500 inventions were staged and 34 countries took part in the fair. The experts say that a decrease in the number of participants in this year's event is attributable to economic downturns and sluggish business activities. The fair was hosted by the Korea Intellectual Property Office (KIPO) and was organized by the Korea Invention Promotion Association (KIPA). The event not only provides inventors the chance to display their new products but also serves as a venue for consultation on commercialization and intellectual property rights (IPR). The fair was held at the Pacific Hall of the Convention and Exhibition Center (COEX), Samsung-dong in southern part of Seoul. In addition, the world's largest invention exhibitions are the Switzerland's International Invention Exhibition of Inventions in Geneva and the International Trade Fair (IENA) that takes place in Germany being held regularly. Almost all foreign embassies in Seoul sent the delegations to the fair for a good opportunity to communicate with their national participants. Among all visitors of this event such as many economists, businessmen, business CEOs, and politicians. Among the participants was Minister Lee Hee-Beom of the Ministry of Commerce, Industry, and Energy. At the award ceremony, international juries assessed new inventions and technologies based on the added value of the technology and on its prospects for commercialization and contribution to environment and human life. The jury was made up of the 18 local experts. In the fourth day of the fair at the awarding ceremony the best companies and individual inventors received awards of the SIIF 2004. 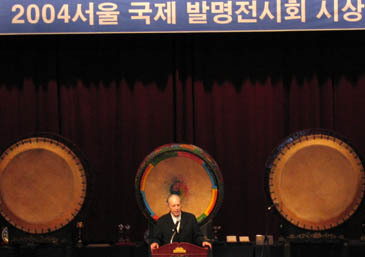 Five Korean companies including NUC Electronics won the SIIF awards. Korea's traditional farmers' dance on stage at "SIFF 2004"
The one who took the grand prize was the Bauman Moscow State Technical University (Russia). The five international awards went to the University Kebangsaan Malaysia (Malaysia), Edu-Barkai (Israel), Beijing Municipal Institute of Labor Protection (China), The Saint-Petersburg Geological Institute (Russia), and Manufacturing by Huang Gung Co. (Taiwan). During the ceremony some speeches were made by Park Gwang-Tae, chairman of Korea Promotion Association and Mr. Farag Moussa, president of International Federation of Inventors' Association (IFIA). 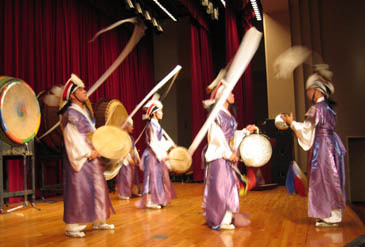 The speeches were followed by Korea's traditional music and dances in which percussion music and farmers' dance were played.